the Pet My Puppy canine community from animal cruelty. Sheriff Nunley teams up with an attractive female terrier detective named Zan. Together, they develop an air-tight plan to eliminate dog fighting once and for all! world, he pulls out is special skate-board and helmet to prepare for battle! (from infancy) in St.Louis, Missouri - where she currently resides. short stories, and many inspirational poems. 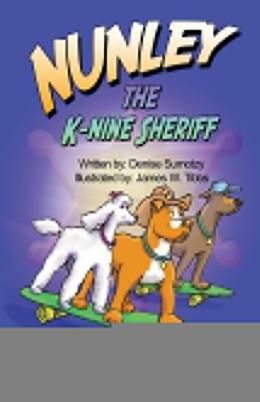 (Series collection of 7 stories), and Nunley the K-nine Sheriff. Her Secret Heart, and Faded Beauty.